If you are reading this blog, you are probably familiar with the Nissan Skyline. You may not know all the history of the car, you may not know it as any more than the car on the video game. Dr. Sakurai was known as the Father of the Skyline in Japan. Behind every car, there is a person or people, a driving force that contributes to its existence. Below is a posting from the GT-R.co.uk forum. 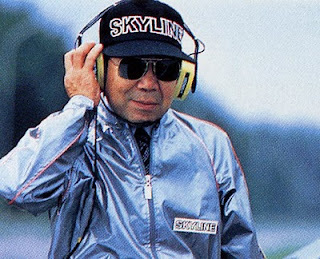 Dr Shinichiro SAKURAI - known as "Skyline no Chichi" ( 'Father Of The Skyline' ) in Japan - passed away aged 81 years. Cause of death was given as heart failure. Dr SAKURAI joined what became the Prince Motor Co. ( itself formed from the ashes of the Nakajima and Tachikawa aircraft companies, through Fuji Sangyo and Fuji Precision Machine ) in 1952, and was the chief project manager on the ALSID-1 model, the first Skyline. 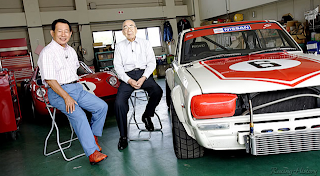 Dr SAKURAI was deeply involved with race related activities at Prince, especially in record breaking and sports car racing, and headed the team which gained notoriety for taking on - and hounding - a Porsche 904 GTS with a gaggle of hot-rodded S54 Skylines in the 1964 Japan GP. Even though the 'fox' got away that time, SAKURAI resolved to build cars that could take it on again, and win. Working under Dr SAKURAI at that time were many of the people who would go on to work on the later generations of GT-R. One of these was a young Shurei ITOH, chassis designer on the C10 Skyline and later Project Chief on the R32 Skyline GT-R. Kozo WATANABE - Chief Designer on the R33 GT-R project - was another SAKURAI protege. 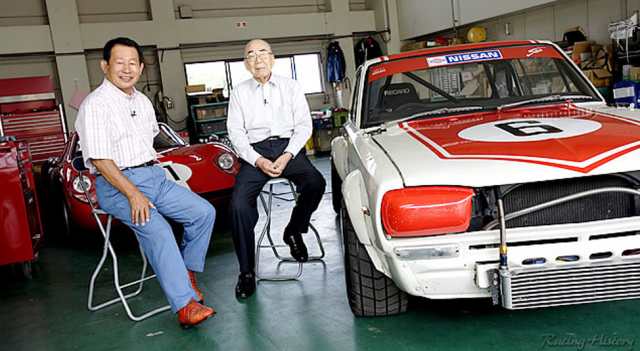 Dr SAKURAI went on to become head of Nissan's offshoot AUTECH, and was inducted into the Japanese Auto Industry Hall of Fame several years ago. He was always happy to give interviews, and appeared in many Japanese publications over the years. However he never overshadowed his team members, and was held in high regard by many who worked with him - especially his engineers and race drivers. He will be missed.